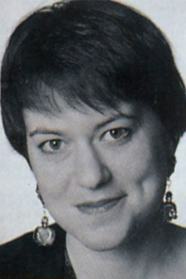 Geneviève Côté was born in Montreal in 1964. For as long as she can remember, she has always wanted to be an illustrator. It seemed considerably easier than becoming an astronaut, which was her second choice.Over the last fifteen years, she has illustrated a wide variety of subjects—serious, funny, or frankly bizarre—for publications like The New York Times, the Boston Globe and Utne Reader. She has also worked for various advertising agencies in Toronto, Montreal, and Melbourne. Illustrating children’s books, however, is what she loves best of all.Her work has appeared in Communication Arts, Print, Critique, and American Illustration, and has earned her several awards.She lives in Montreal, Quebec. that you can only learn / when you see where he's from. Minn knew / that Jake was from the city.